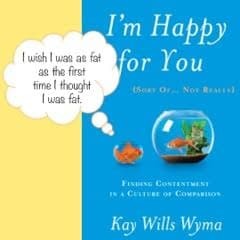 I recently received a physical copy of I’m Happy for You (Sort Of… Not Really) written by Kay Wills Wyma in the mail. Which describes me a lot. 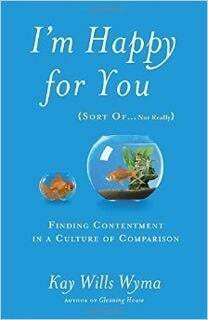 It was about how we are always comparing ourselves to others, well at least I do. Do you ever have those thoughts?